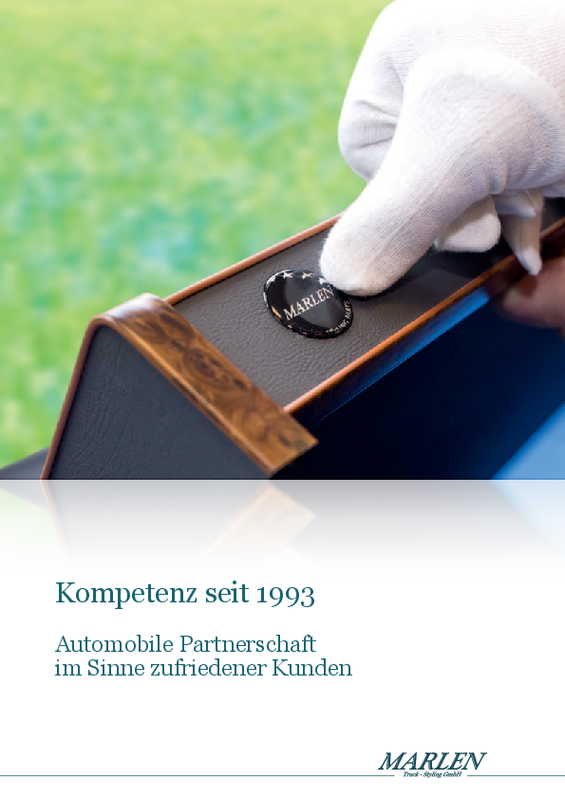 Marlen Truck Styling GmbH has been in business since 20 years now. In this time we went from strength to strength and developed our market position. As the biggest of the world economy we started our business in a garage in 1993 – this is mentioned with a wink of course. Today we mass-produce our product-proposal with the latest CNC-machines and the finishing touch for each precious product get added by manual work. We’ve grown with YOU - our customers - and are proud to provide the market always with first-class quality made in Germany. Our truck tables are a useful accessory which became a MUST-HAVE for every truck-driver. The conditions of work has changed in the transport facility – to live in the truck has become the common practice. That requires a well-organised environment. In the enclosed brochure we described in a few words who we are and what we stand for.